Testers found the enduro focused design of the SME3 Comp to be good for all around riding. The Ergon SME3 Comp is a lightweight mountain bike saddle designed specifically for the rigors of enduro racing. Testers found this saddle to be comfortable for everyday riding, with a unique shape and design to cradle the rider's sit bones. The design is optimized to allow for excellent freedom of movement, with a flat shape and tapered tail that makes it easy to move around the saddle. 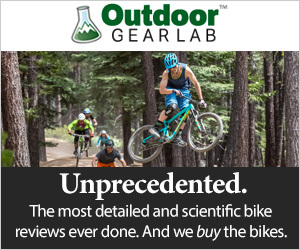 It wasn't quite as comfortable for extended periods of pedaling as some of the competition, but we found it to be a relatively versatile option for most mountain biking disciplines. Ergon is a German-based company that specializes in mountain bike accessories that are engineered and designed to work with the body's ergonomics, hence the name: Ergon. The E in the SME3 moniker of this saddle stands for Enduro, and this saddle is specifically designed with that type of riding in mind. German engineers are typically known for their well thought out and executed designs, so our testers were excited to see how this saddle compared to the competition. Testing the Ergon SME3 Comp in the surreal landscape of Sedona, AZ. Ergon designed this saddle with comfort in mind, and they have done so in a somewhat innovative way. The most interesting aspect of their design, in our opinion, is the molded sit bone depressions in the shell of the saddle. Assuming you get the appropriate size saddle for you sit bone width, the SME3 is offered in a 135mm and a 145mm (tested), these depressions in the shell have more padding and allow you sit bones to sink in and rest comfortably in that spot. Its a little hard to see in this picture, but the Ergon has molded sit bone depressions into the shell of the SME3 Comp which are intended to cradle your sit bones comfortably if you have the proper size saddle. When viewed from above, the SME3 Comp has more of a pear shape than the more traditional teardrop shape that most other saddles seem to have. The only real difference we noticed is that the saddle flares a little more abruptly to its widest point. This didn't seem to affect the comfort nor was it noticeable when pedaling. You can also see a small anatomical depression in the middle of the saddle which didn't appear to do much but is better than nothing we suppose. You'll also notice that the saddle tapers from its widest point back to the tail; this taper is gradual and there is still plenty of platform. The side view shows that the SME3 Comp is basically flat from tip to tail. The shell of the saddle has a little bit of give under the weight of a rider, and the sit bones do settle into the depressions on the wings of the saddle quite well which puts the rider into the sweet spot when seated. Looking down the saddle from the nose you can see the subtly rounded side to side profile of the SME3 Comp, and you can almost make out the slight depression on the tops of the wings. The padding of the SME3 felt quite dense and supportive, but not stiff and uncomfortable like that of the SDG Circuit Ti-Alloy. Overall, testers found this saddle to provide a pretty comfortable and stable platform to rest their bones when seated and pedaling. That said, our Top Pick for Comfort Award Winner, the WTB Koda Team, couldn't be touched in the comfort metric with slightly softer padding a more cradled shape. Ergon did a good job designing the SME3 Comp to mesh well with your sit bones and provide a comfortable platform. Ergonomics for pedaling were also good, and the shape of the saddle didn't negatively impact the pedal stroke. Testers did feel, however, that the SME3 Comp wasn't quite as comfortable as some of its competitors for extended periods of seated pedaling. The flat design of the saddle and the smooth and relatively friction-free microfiber seat cover allowed for excellent freedom of movement on and off the saddle, and especially shifting your weight behind for steeper descents. The slight taper toward the tail and flat back edge of the saddle never felt like they wanted to snag on your shorts. The 145mm width of the size medium saddle we tested was among the widest in our test, yet we still never noticed the width when moving back and forth while riding. The SME3 Comp's shape is optimized to allow the rider to get behind it easily when the going gets steep. The durability of the SME3 Comp is decent. The Microfiber Superlite seat cover shows no signs of wear from the abuse it has taken during testing. There are seams on the cover of the seat, but the stitches are inside so they seem like they shouldn't be prone to wear. We are slightly concerned that the outer edges and tail of the saddle don't have any sort of durable covering, like that found on the WTB Koda Team, to protect it, but that only matters if you crash. The SME3's microfiber seat cover has more microfiber on the edges, it seems Ergon was more interested in sliding behind the saddle than crashing on it. Testers found the SME3 Comp to be well suited to a variety of mountain bike riding disciplines. It's not the most pedal friendly option out there, like the Specialized Phenom Comp, so we wouldn't suggest that XC racers or the endurance crowd jump right on it. That said, it works well for everyday riding, from backyard laps to longer XC rides, trail, all mountain, downhill, you get the idea. The SME3 Comp tipped our scales at 228g, which is on the lighter end of the spectrum of saddles in our test selection. Interestingly, this is 12g less than the claimed weight of their more expensive SME3 ProTi version that costs $30 more. The SME3 Comp weighs in 15g lighter than our Editors' Choice Award winner, the Specialized Phenom Comp, but about 16g heavier than the lightest saddles in our test, the WTB Koda Team and the Tioga Spyder Outland. At 228g for the medium with we tested, its not the lightest, but its far from a heavy saddle. It may be billed as an enduro saddle, but testers found the SME3 Comp to work well for all around everyday riding, you know, the kind where you pedal to the top and then bomb down to the bottom and then do it again, like enduro. Any kind of mountain bike riding seems appropriate for the SME3 Comp, XC rides, enduro racing, gravity riding, you name it, although we probably wouldn't be that inclined to put this saddle on a road or gravel bike. With a retail price of $100, the SME3 Comp is a reasonably priced saddle considering the weight and performance. We might be more inclined to go with our Editors' Choice Award winner, the Specialized Phenom Comp for the same price, but the choice is yours. As advertised, testers found the SME3 Comp easy to move around on, with no snagging on the shorts in the process. Our testers found the Ergon SME3 Comp saddle to be a reasonably comfortable and versatile option for virtually all mountain bike disciplines. This lightweight saddle has a unique design that cradles the sit bones, although testers found the flatter profile to be less comfortable than the competition for extended periods of seated pedaling. Overall, we enjoyed our first experience testing the SME3 Comp saddle, and we look forward to trying other models of Ergon saddles in the future. That said, the SME3 Comp was outclassed by some of the more comfortable and versatile models in our test. Ergon makes a full line of mountain bike saddles for all disciplines of riding at various price points including several versions of the SME3 Enduro specific models. Amazon $75.95 - 24% off!